Revive your winter skin: Get rid of dry, cracked skin on hands and feet! Home » Health and Fitness » Revive your winter skin: Get rid of dry, cracked skin on hands and feet! For many people, the cold days of winter bring more than just a rosy glow to the cheeks. They also bring uncomfortable dryness to the skin on hands, feet, elbows and knees. Skin may get so dry it results in cracking, flaking, even bleeding. Now that Spring is here, and temperatures begin to climb, off go the sweaters and boots and on go the shorts and sandals. But, while you are in good spirits, your skin might be having its pale winter moods. Dry, rough, cracked, heels, knees, elbows, toes, cuticles, hands, undernourished skin! 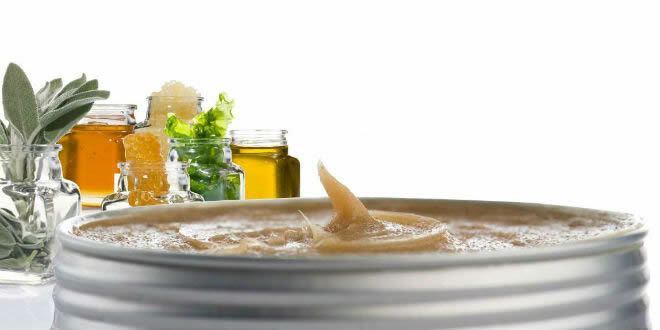 It’s time for an extra nourishing skin treatment that would bring back your healthy, glowing, properly nourished skin! The good news: I found the solutions for you, a very effective dry skin treatment called Athos Miracle Cream. 100% Natural, based on an Authentic Mediterranean Formula created my the Monks of Mount Athos in Greece. The Ingredients are Olive oil, Honey, Mastiha, Sage, Seaweed and Beeswax. Chemical Free, Preservative Free. 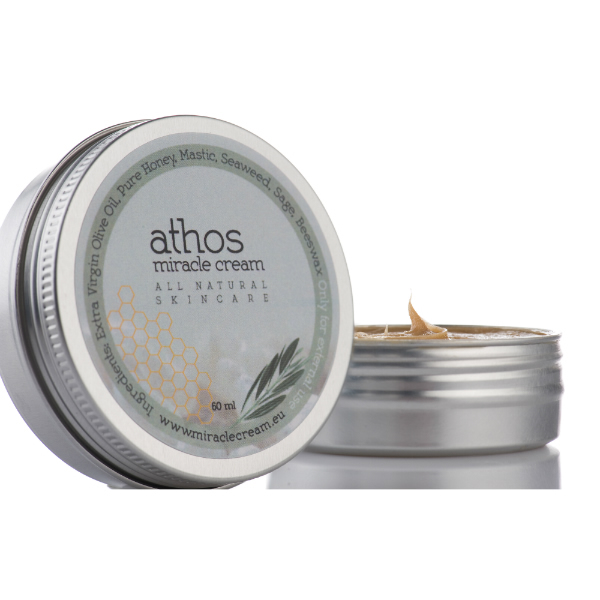 Athos Miracle Cream regenerates and heal your winter damaged skin. Particularly on the roughest, toughest areas of skin, such as heels, elbows and knees. If your heels need immediate care I recommend that you apply Athos Miracle Cream on your feet and then wear cotton socks before bed. It really can dramatically change the way your feet look and feel, almost overnight. I am so glad I’m ready for sandals! Go to the Athos Miracle Cream online store.